For those people who haven’t read any of your series Isles and Rizzoli novels can you try and explain them in a single sentence? It’s a crime series starring two very different, very capable female investigators: homicide detective Jane Rizzoli and medical examiner Maura Isles, who are colleagues and friends. How does each book come about? Where are the ideas born? I start with an idea that intrigues me, something that makes me excited to find out what happens next. The inspirations come from different places. Vanish, for instance, was inspired by a real case in Boston of a woman who was mistaken for dead and woke up in the morgue. The writer in me immediately wanted to know how she ended up there, and what she did next. ‘Body Double’ came to me while I was standing in the autopsy room and thinking: “What if I were to watch myself get autopsied? Wouldn’t that be a horrifying thing?” And it’s what Maura Isles almost goes through when she watches her twin sister, a sister she never knew she had, get autopsied. How much of what we read in these books has actually been something you experienced in your career such as bodies waking up? Thank heavens most of these tales are things I’ve NEVER experienced. A lot of the source material is from the news, or from my voracious reading of all matter of material, from gossip magazines to scientific journals. Has there ever been anything that completely creeped you out? Quite often, in fact. I am completely creeped out by shrunken heads, which is why I wrote about them in ‘Keeping The Dead’. And autopsies although I’ve watched at least a dozen of them continue to disturb me. I just don’t like watching them, even though they were part of my training. Most of all, I’m creeped out by the horrifying ways that some people have expired. In small, enclosed spaces. In great pain. Or in locations that are just out of reach of help. Do you have a favourite between Jane Rizzoli and Maura Isles as characters? I love Jane Rizzoli as a role model, as a woman who is sure of herself and knows what she wants. But I identify more with Maura Isles because of her scientific background and because I am an introvert, just like Maura. They can be quite gory fiction in some ways; do you ever wonder if you have gone too far? I think I pull back before I get too gory. At least, from my point of view, I do! I suppose there are readers who think I go over the top. But in my books you seldom see the cruelty and depravity acted out on the page. What I portray are the investigators coming onto the scene after the terrible acts have happened, and my investigators must piece the sequence together. I do include details of autopsies, but I think of that as simply people doing their jobs. It’s what I’ve seen as a doctor, and it doesn’t seem gory to me, simply clinical. One of the many things I really love about the books is there seems to be no limits to what could happen, twins are suddenly found, people fall from planes it’s all fantastical and perfect escapism. Where do you come up with these varying twists and storylines? I follow my instincts as a writer. I ask myself, what’s the next intriguing, completely unexpected thing that can happen next? And I make it happen. I love to be surprised as a reader, and that’s what I try to do in my stories. Keep my readers, and myself, off balance. Your novels have become a TV series – how much involvement did you have with it? Was it hard to say yes to the project initially, because it’s something you created? ‘The Bone Garden’ was a slight change in your recent novels, what sent you off into the Victorian period? Are you planning more novels like this? I loved writing that book. It was inspired by some reading I’d done about childbed fever. The details of the illness and the deaths so horrified me that I couldn’t stop thinking about it. And when I can’t stop thinking about a topic, I know it’s going to end up in a book. Here in the US, one of the historical heroes in medicine was Dr. Oliver Wendell Holmes, a physician who was the first to advise American doctors (in 1843) to wash their hands before attending women in childbirth. He was probably responsible for saving the lives of thousands of women, yet his suggestions were ignored for a decade. I wanted to write a story set in that filthy, disease-ridden era, when women were dying in childbirth. Where doctors were labouring under antiquated ideas of science. And where conditions for the immigrant poor were horror stories in and of themselves. I knew I was a writer when I was seven years old. I’ve never given up the dream. But since I come from very practical immigrant stock (Chinese) I was talked into choosing a more secure profession, medicine. Still, that dream of being a writer never left me and when I went on maternity leave from hospital work, I wrote my first book. My first published novel, a romance, came out in 1987 (Call After Midnight). I’ve written about a book a year ever since then. So it’s been 23 years as a professional novelist, which makes me feel old indeed. As for which books inspired me, I can point to the same books that so many other female mystery writers point to: the Nancy Drew mystery series. Those books reinforced my belief that women could not only be intelligent and independent, they could also solve mysteries. While driving their own cars and staying up past midnight! Too many to mention! I wish I’d written Lonesome Dove by Larry McMurtry. I wish I’d written Alias Grace by Margaret Atwood. I wish I’d written The Poisonwood Bible by Barbara Kingsolver. I’d like to mention two debut authors, just because debut authors have a harder time getting noticed. Their books are about to come out in 2011. 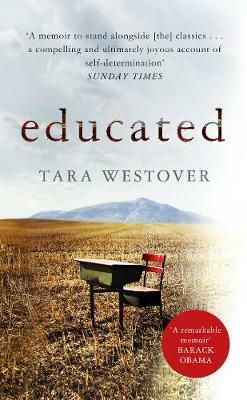 The first is Taylor Stevens, whose novel ‘The Informationist’ has a smashing new heroine. And the second is S.J. Watson, a male author who absolutely and astonishingly nails a female voice in his book ‘Before I Go To Sleep’, about a woman with a peculiar form of amnesia who must re-make her past every morning when she wakes up. No rituals except breakfast and coffee, and then I sit at my desk and try to write 4 good first-draft pages. I guess the most unusual thing about me is that I write those first-draft pages with pen and paper. I’m an old dog who just can’t learn new tricks. What is next for Tess Gerritsen? I’m finishing up my next Jane and Maura book, The Silent Girl, about a mysterious murder in Boston’s Chinatown. It allows me to explore some of the Chinese folktales of my childhood. 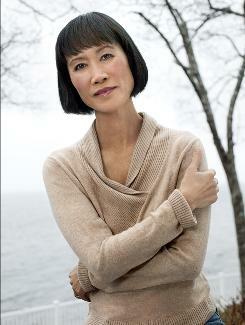 You can find out more about Tess Gerritsen on her website and indeed read her very own blog. I want to say a huge thanks to Tess Gerritsen as I know how busy she is and so the fact that she did this so quickly and so eagerly was lovely. It’s always nice when authors you really like to read are lovely in real life, I know it shouldn’t matter but lets be honest it does. Has this interview made you want to read more Gerritsen? Have any of you tried the novels she wrote pre-Rizzoli and Isles? I haven’t tried any yet and want to very much. Many thanks for featuring Tess! I haven’t read any of her books, but I will do so. I will definitely read more of her books – I have a couple in the TBR which I’ve been meaning to get round to. I like her comment about the violence mostly happening off-stage. I like the sound of The Bone Garden too. Thanks for this, very interesting. I did read one of her novels a couple of years ago and I liked it very much. I will certainly be combing the library for other titles. I think I’m going to have to stock up on the Tess books that I’m missing and have a Christmas crime binge. Perhaps I can go into the magic 5 for £1 bookshop at the weekend on a hunt! !